There were several indigenous Assamese persons who were pioneers in tea plantation in Assam in the beginning years of tea plantation in Assam in spite of all the odds against them. They established and ran tea estates successfully with tremendous business acumen and enterprising zeal. Maniram Dewan, the real discoverer of tea in Assam with Singpho Beesa Gam in all probability, was the first Assamese commercial tea planter (Baruah, 2008). Maniram Dutta Bar Bhandar Borua Dewan, popularly known as Maniram Dewan, an Assamese nobleman, was the first Indian tea entrepreneur and commercial tea planter, and was also a martyr in India’s initial freedom struggle against the British rule. Tea plants were discovered growing wild in Upper Assam in 1823 and many believe that it was Maniram Dewan who in fact informed Major Robert Bruce about existence of wild tea plant in Assam and might have even introduced Beesa Gam, head of Singpho tribe, to Major Robert Bruce. He was the first native Indian tea planter establishing his two own tea estates competing with the mighty British rulers in tea cultivation and business in those days (Baruah, 2014). Maniram Dewan started two tea estates, namely Cinnamara near Jorhat of Jorhat and the other Senglung near Sonari of Shivasagar district. Maniram Dewan was a great entrepreneur and intelligent business person with in depth knowledge of the region of the North East India with great business acumen. He learnt about technique of tea plantation and labour management while he was working as Dewan of Assam Tea Company. In fact, he started developing a garden in 1842 ‘possibly with Company’s labour and seedlings’ like some other employees of the Company. After his resignation in 1845, Maniram concentrated fully to develop two tea estates of his own- one at Cinnamara in south of Jorhat town and the other at Senglung near Suffry, Sonari of Shivasagar. Maniram became a successful tea planter and it is in record that in 1853, Cinnamara garden comprised of 270 acres of land and there were about 200 acres of tea in full bearing consisting of about 100 acres put out in 1854 and 100 acres in 1855. There were about 143 acres of young tea plants put out in 1856 and 1857. The 200 acres of mature tea produced a crop of 45,000 lb in 1857 which increased to 70,000 lb in 1858. Crop and area record of Senglung garden are not available (Dutta, 1990). This shows the far reaching vision of Maniram Dewan who could visualise from the beginning the important role that tea would play in the economy of Assam (Barua, 1992). The British could not tolerate that a ‘native’ would go for tea plantation competing at par with them and put many obstacles. Mnairam Dutta Barua was a great patriot and a person of firm determination. He established the two tea estates successfully in spite of all the obstacles (Barua, 1993). Maniram Dewan was hanged by the British in the year 1858 for taking part in the India’s freedom movement of 1857.It is said that before his execution, Dewan exhorted the Assamese people to look after the golden tea bushes of his two tea estates. Maniram Dewan was not only the one to discover or the first to have brought tea growing wildly in Assam to the notice of the Britishers, but was also the first to start tea plantation on individual basis and the first martyr for India’s freedom from North East India and tea’s first martyr (Dutta, 1992). After his execution, the two tea estates were confiscated by the British and sold in auction. George Williamson was the purchaser who got the tea estates at a very nominal rate. It had been reported that Williamson repented for taking unfair advantage in this purchase and later donated £ 10,000/- for opening libraries, schools of Industry and Arts in Jorhat and Golaghat areas. Execution of Maniran Dewan apparently acted as a set back from which Assamese businessman took some time to recover (Barua, 1992). Towards the end of the nineteenth and early part of the twentieth century a number of Assamese pioneers took up tea cultivation. The prominent among the Assamese tea planters were Rosheswar Barua, Hemadhar Barua, Rai Bahadur Jagannath Barooah, his brother Krishna Kumar Barooah, Colonel Sibram Bora and Sarbananda Borkakati and others, to name a few. Among them Rasheswar Barua of Lahdoigarh was one of the foremost Assamese tea planters (Barua, 1993). Rosheswar Barua was a very industrious person and he planted 6/7 tea estates at that time within 1860. However, his venture was ruined during the crisis of 1866-67. Lahdoigarh, Naginijan and Madhupur were his prominent tea gardens, but due to labour and capital shortage, Rosheswar Barua sold Naginijan to a European and Madhupur to another pioneer tea planter of Assam, Rai Bahadur Bisturam Barooah (Barua, 2014, Chakravarty, 2011). Ningroola, chief of Ningroo clan of the Singphos who had his territory by the side of the river Buri Dihing at the foothill of Patkai range, near Margherita of Upper Assam, is credited with undertaking the first tea cultivation in Assam by a native on behalf of the British. Though the historians do not regard Ningroola (Ningru La) as an independent tea planter, as he worked in collaboration with the British East India Company with their incentives to serve their interest, his achievements in first starting tea cultivation in Assam in those days in beginning of the tea industry in Assam and selling his produce in 1840 at Calcutta is highly creditable (Baruah, 2015). Throughout the nineteenth century, the small band of enlightened Assamese businessmen continued to break new ground for themselves. Dinanath Bezbarua (1813-1895) established two small tea gardens. The famous Lakshminath Bezbarua is his son. Hemadhar Barooah (d. 1871) and his graduate son Jagannath Barooah devoted their energies to developing their own tea gardens. Scholar Anundoram Barua’s dream was to purchase a tea garden after his retirement from Indian Civil Service. He had accumulated about Rs. 40,000 by the time of his premature death. During that period the newly educated Assamese were taking up various businesses including tea plantation. Many Assamese planters did not have factory to process their tea leaves. They sent their leaves to neighbouring European gardens which had factories (Guha, 2014). Someswar Sarma joined Moabund Tea Company in 1880 in a staff grade, but he rose to the level of Superintendent of the Company due to his intelligence and efficiency. Later he opened Aitang tea estate (Barua, 2014). The Khongia Barooah family is one of the foremost tea-planter families of Assam which deserves a special mention. Bisturam Barooah, the patriarch of the clan, first embarked on the tea planting ventures during the days of the British Raj. His son Siva Prasad Barooah consolidated and built up the tea properties and in the process was known as ‘the richest man in Assam’ during his time. His grandson, Hemendra Prasad Barooah, an MBA from Havard, expanded them into an industrial empire unmatched by any other Assamese entrepreneur. Bisturam Barooah started his association with tea as a supplier of tea seeds- buying seeds from plantations and selling to Williamson Magor & Co. and others and opened a seed bari too like Roseswar Barua. With help of the European tea planters with whom he had excellent relationship, and in partnership with his nephew, Sarbananda Barkakoti, he secure land grant and opened Thengalbarie tea estate first and then another garden Kakodonga. Later, the partnership was dissolved and Bistooram Barooah retained Thengalbari and Barkakoti got Kakodonga. Both the tea estates were opened with great difficulty with seeds from Barooh’s seed bari and planted planting seed at stake. Then he started another tea estate, Kuhum, adjacent to Thengalbarie- self planted with seed at stake. He then purchased Madhupur from Reseswar Barua for Rs. 10,000. He also purchased Rungajan, a small tea plantation from a European planter, and converted into anout-garden of Thengalbari. He bought his fourth tea garden, Mezengah, from the Scottish Assam Tea Co. towards the end of the century and set up a factory there. In 1906, he purchased Haroocharai tea estate, a prize property, from Kingsley Golaghat Tea Co., at a very high price Rs. 75,000. He taught and trained local people on tea practices and his employees were local Assamese people. He and later generation of his huge family members are known for Assamese nationalism, philanthropy and progressive entrepreneurship. Bisturam Barooah’s son, Siva Prasad Barooah, learnt the modern techniques of tea plantation and manufacturing having worked as Assistant Manager of Cinnamara tea estate, belonging to Jorehaut Tea Company at the time. He returned to take care of his family properties and developed Haroocharai together with his father. His business acumen not only made him the richest Assamese, but also the biggest Indian tea planter of his time. Siva Prasad Barooah purchased Rajabari tea estate from Williamson and Magor in 1931 and Parvati Prasad Barooah was placed as its manager. He and Bhawati Prasad Barooah opened Aideobari tea estate and later Sachi Prasad Barooah, second son of Bisturam Barooah purchased all the shares of the tea garden. He bought Salkathoni tea estate for his good friend, Khan Bahadur Keramat Ali, a lawyer of Jorhat. Sachi Prasad Barooah, second son of Bisturam Barooah and brother of Siva Prasad Barooah, after death of Siva Prasad Barooah in 1938 managed the properties of the Khongia Barooahs and in 1942, he got four tea estates- Mokrung, Shyamguri, Noorbari and Sonapur released from mortgage of Martin Burn paying Rs 10 lacs and returned returned Noorbari and Shyamguri to Faiz Hazarika, son of Tafazzal Hussain Hazarika, retaining the other two. In 1944, the family of the Khongia Barooah got separated among the families of Sachi Prasad Barooah, Sailendra Prasad Barooah, and Mrs Kamal Kumari Barooah and Mr, Hamendra Prasad Barooah. Hemendra Prasad Barooah, son of Siva Prasad Barooah and Kamal Kumari Barooah, was educated in Havard for his MBA in 1949, and came back to Assam and got possession of three gardens that had fallen to Kamal Kumari and her sons, Haroocharai, Mokrung and Kuhum, in poor shape and with tax default. He started managing the tea estates from scratch with his business knowledge and sincere hard work for developing tea gardens and in course of time became a most successful businessman and industrialist of Assam. He along with uncle, Sachi Prasad Barooah, and some other tea planters started Barooah & Associates Pvt. Ltd in 1952. Barooah purchased a huge Gatoonga tea estate from Williamson and Magor which was split into three estates- Gatoonga, Samaguri and Kamarbund. He later also purchased Goreahabi( now known as Lohpohia) from Jorehaut Tea Company. In 1967 he purchased New Samaguri, a small property, part of Moabund tea estate. In 1969, he took over majority control of Salkathoni tea estate, purchased Sangsua tea estate from Moabund Tea Company belonging to Williamson Magor and also the controlling interests of Barasali Tea Co. Pvt. Ltd. He also took over the management of Borting tea estate in 1965, and thus, owned nine tea estates in total. Hemendra Prasad Barooah also started tea broking firm, Tea Brokers Pvt. Ltd. at Calcutta in 1956 and the first tea broking firm in Assam, The Assam Tea Brokers Pvt. Ltd. in 1970 at Guwahati. He was the main tea planter behind opening of Guwahati Tea Auction Centre at Guwahati in 1970 (Dutta, 2010). Kaziranga Golf Resort, one of the best golf and tea resorts in Assam, was developed by him at Gatoonga tea estate which is a major tourist attraction in Assam. His contributed greatly to philanthropic works, and was a connoisseur of art, culture and literature. The Government of India bestowed him Padma Shri, the fourth highest civilian award, for his contribution to the fields of trade and industry in 2013. The pioneering indigenous Assamese tea planters were many and they had major contribution in shaping the tea industry of Assam and the Assamese society. All Assamese pioneer planters were confronted with kindred difficulties. Numerous plantations which started with high hopes in the tea mania that gripped the region in the middle of the 1860s, suffered untimely demise. But several survived with their tenacity and hard work. Hemadhar Barooah, and later his sons, Jagannath Barua and Krishna Kumar Barua, opened Letekoojan, Tipomia and Bosabari. Devicharan Barooah opened Bamunibari and Halmiramukh tea estates. A spirit of intense competition existed between indigenous tea planters (Dutta, 2010). Rai Bahadur Jagannath Barooah was the first planter having University degree (B.A.). Radha Kanta Handique who was Asst. Director of Land Records, purchased Tirual tea estate and manged with the help of B.A. Jagannath. Chandra Kanta Gogoi cultivated Bahani tea estate with help of Jagannath Barooah. Colonel Dr. Sibaram Bora purchased Rowriah tea estate jointly with Jagannath Barooah. Rai Bahadur Jagannath Barooah guided and helped many Assamese to start tea plantation. Rai Bahadur Devicharan Barooah owned Rowriah tea estate. Narayan Chandra Bezbaruah started Borsoikata tea estate and was a philanthropic planter. Noted poet Nilamoni Phukan established Nilamoni tea estate, Kuladhar Chaliha owned Chinatoli and Rangdoi tea estates, Malbhog Barua established Borbheta tea estate, now owned by Tea Research Association as an experimental tea estate. Maulavi Shah Noor Hazarika also started tea plantations. Someshwar Barua established Chanmari tea estate. Jadav Chandra Chaliha and Bimala Prasad Chaliha owned Korangani, Bonomali and Gossaibari tea estates. Ratneswar Sarma Thakur (Borthakur) established Thakurbari tea estate (now Krishna Bihari tea estate). Prafulla Chandra Baruah had Sundarpur tea estate; Padmanath Sarma also owned a tea estate. Mihiram Saikia of Titabor established Rajabari tea estate; Dr. Jiba Kanta Gogoi owned Saraipani, Dolaguri and Kathoni tea estates. Debraj Roy was also a tea planter. Janaki Devi Barthakur was the first Indian lady tea planter and owned Tipam tea estate near Digboi. Lila Nath owned Kaziranga tea estate. Surendra Handique owned Lakhimijan tea estate. Nandeshwar Chakroborty of Dibrugarh established Modarkhat tea estate. Abdul Azij had Khetojan tea estate. Ganga Ram Choudhury purchased Halmari tea estate. Prasanna Kumar Barooah of Dibrugarh established Rajabheta tea estate. Rai Bahadur Nilambar Dutta started Udalguri tea estate. Benudhar Rajkhowa started Aideopukhuri tea estate. Jadunath Barua and Jogendra Nath Barua had Lankashi tea estate. Rajani Kanta Bordoloi started Haveda tea estate. Jalaluddin Ahmed established Deroibam tea estate. Nava Kumar Barua established Kathalguri tea estate. Tupidhar Saikia started Duliabam tea estate. Indibar Chaliha had Ubhotajan tea estate. Nabin Chandra Bordoloi established Hatijan tea estate with the help of a friend from Calcutta. Rajani Kanta Barua had Hollonghabi tea estate. Deba Kumar Barua had Madhuting tea estate. Kamakhyaram Barua of Guwahati promoted Bahadur and Gobindapur tea estates. Radha Kanta Phukan started Longboi tea estate. Krishna Prasad Barua and Bipin Chandra Bordoloi established Gobindpore tea estate. Hemnath Barua had Gohainbari tea estate. The list is not conclusive and all the tea estates could not be traced (Chakravarty, 2011). What is praiseworthy is that the present generation of the indigenous Assamese tea plantation owners are managing their tea estates well, although several of the original tea estates have gone out of hand of the original owners, but there are also a number of Assamese persons who have owned tea estates and are managing their properties very successfully. Barua, Dr. D. N. (1992). 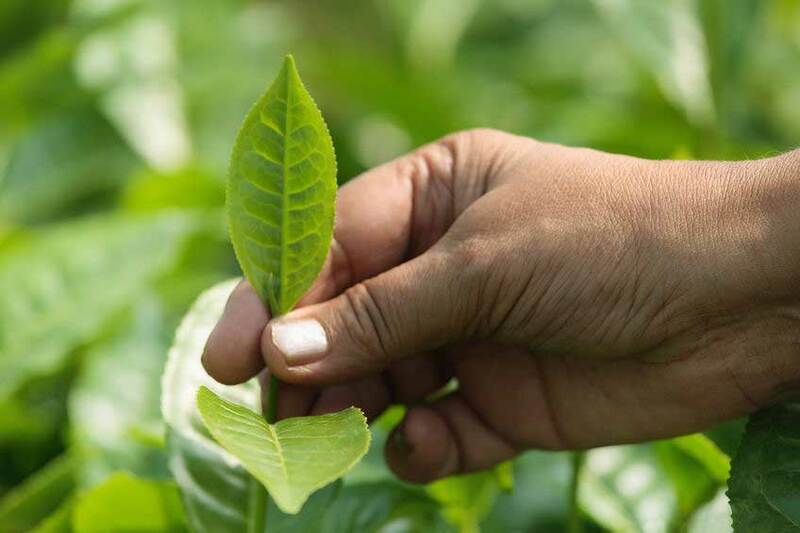 The Tea Industry of Assam: Its Historical Background. Paper presented at the Seminar on Tea Industry of Assam on Jorhat College Silver Jubilee, Jorhat, 22 February, 1992. Barua, Girija Prasad (1993). ‘Asomot Chah Shilpor Adi Katha’, Assamese: Original of Tea Industry in Assam), Rangpur, Souvenir of the 59th Session of Assam Sahitya Sabha held at Shivasagar, February, 1993. Barua, Dr. Anjan (2014). Vishwa Bandita Chah Shilpa 2014 (Assamese), Bidya Bhawan, second edition, Jorhat, 2014, p.p. 313-314. Baruah, Dr Pradip (2008). The Tea Industry of Assam: Origin and Development, first publish, EBH Publishers (India), Guwahati p.p. 35-36. Baruah, Pradip (2014). Maniram Dewan: India’s First Commercial Tea Planter and His Tea Gardens, Souvenir, Triennial General Conference, North Eastern Small Scale Industry Association, Jorhat, Assam, 1st June, 2014, p.p. 10-13. Baruah, Pradip (2015). Ningroola- Singpho Chief, Earliest Producer and Manufacturer of Assam Tea, and Namsai of Arunachal Pradesh. Chakravarty, B. (2011). Assam Tea and Assamese Tea Planters. Concourse, Souvenir of World Tea Science Congress, Tea Research Association, Tocklai Experimental Station, Jorhat, 22-24 November, 2011. Dutta, Ajit Kumar ( 1990). Maniram Dewan and the Cotemporary Assamese Society. 1st publish, Anupoma Dutta, Jorhat. Dutta, Arup Kumar (1992). Cha Garam-The Tea Story, Paloma Publications, first edition, Guwahati, p.p. 62-88. Dutta, Arup Kumar (2010). The Khongia Barooahs of Thengal, published by Dr. Bhupen Hazarika, Guwahati, revised edition, 2010. Guha, Amalendu (2014). Planter Raj to Swaraj- Freedom Struggle & Electoral Politics in Assam, 1826-1947. Thrid edition (first published by ICHR, January, 1977), Tulika Books, New Delhi, pp. 46-50.